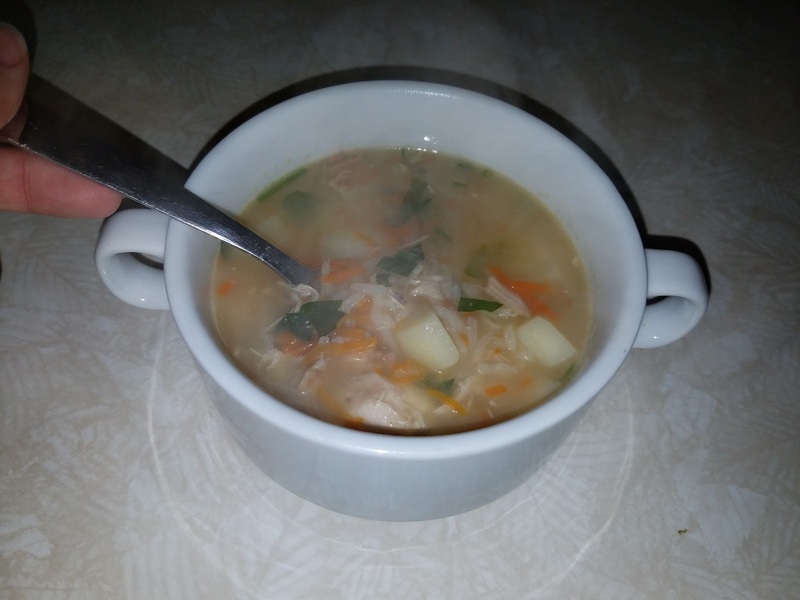 For this soup, I used the reserved broth and chicken from when I made the Creamy Chicken Mushroom Soup. Add potatoes and rice, return to a boil, then reduce heat and simmer for 15 mins. Add the carrots and parsley, simmer for an additional 5 minutres. Salt and pepper to taste, serve hot.